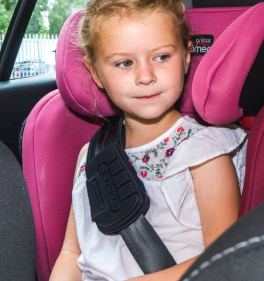 It is hard to believe that over 70% of child car seats are either unsuitable for the child, incorrectly fitted and in some cases both. This includes more straight forward ISOFIX seats, where as many as 6% are incorrectly fitted. A new Regulation relating to children’s car seats, was introduced in 2015, referred to as Regulation ECE R129, it is also known as i-Size. For the seat manufacturers this required changes to the dimensions of seats. Greater protection in the head area and a new test regime. Among other ‘things, it measured the ‘loads‘ applied to a child, at various vulnerable points. 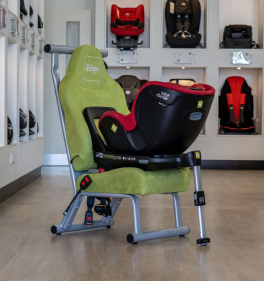 For the consumer, its primary objective was to make it easier for those caring for children to be able to select the correct seat, for both the child and the vehicle. The most significant change being that child will travel rear facing until they are at least 15months old. Seats will be sold using height categories, as opposed to under the older Regulation, where seats were sold using weight categories. The older regulation ECE R44 seats will continue to run alongside the new Regulation R129 for a number of years, and may remain legal to be used 2030 (speculation). Remember, a new Regulation seat is safer than an older seat. To learn more about the differences between the two Regulations, please see the page that relates to ‘Regulations’. 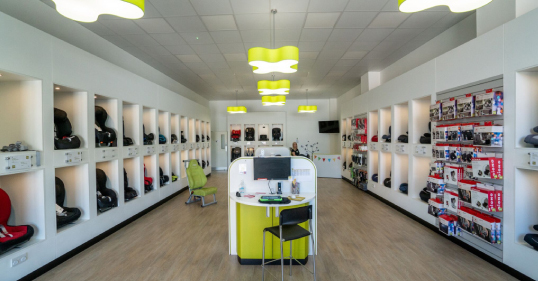 The In Car Safety Centre offers the widest range of children’s car seats you will find anywhere in the UK. We offer more choice and more options, to perfectly suit your needs. We advise making an appointment for one our Centres in order to get access to our fully trained advisors who will give advice, demonstrate and fit your seat. 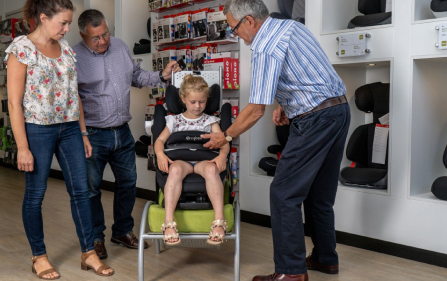 We encourage you to bring your child where possible, this gives you the opportunity to see your child in the most appropriate and suitable seat before purchase. 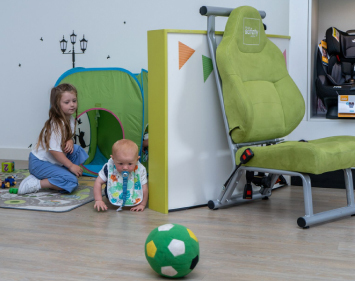 We have a play area in all of our Centres, hopefully keeping your little ones occupied during your visit. Booking an appointment means you will get the undivided attention of one of our trained advisors, and your decision will not be rushed in any way.